When I left my life as an entrepreneur, my personal goal was to remake the public policy and political arenas by bringing measurement and accountability to the cause of freedom. I had long been a critic of those who only issued white papers – to no apparent effect – and never spoke to ordinary people in language that makes sense to them. Of course, white papers – the policy work – are critically important. After all, this research is the basis of lawmaking. However, my theory of political change is that we must engage in a two-front war if we are to win. Our side must fully engage in culture (media, public opinion, influencers) and must also fully engage in the political arena (legislation and elections). That’s because public policy must pass through a political process to become law. And most big policy ideas become ripe in culture first. Thus, turning policy into law requires a two-front strategy. Thanks to your support, we have the resources to fully engage in both the cultural and legislative arenas as never before. In this 2015 Annual Report we measure our cultural impact, the good laws being passed and the bad laws being defeated. Our experience in 2015 has prepared us well for what lies ahead in 2016 and beyond. Thank you. 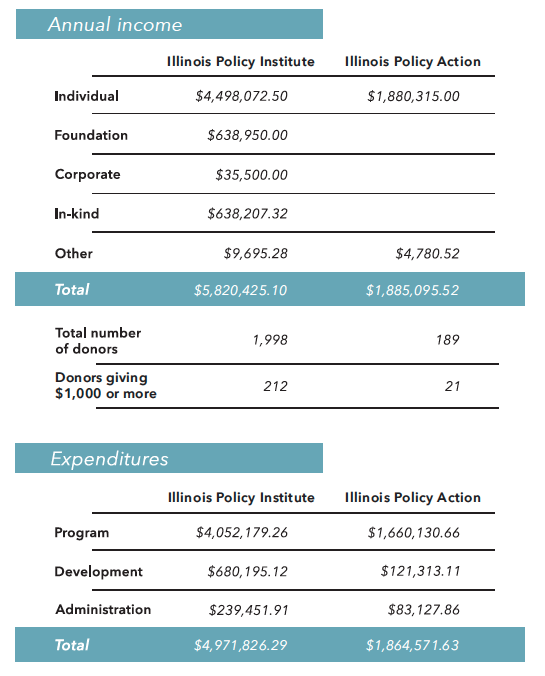 A nonpartisan, nonprofit research organization, the Illinois Policy Institute’s mission is to transform liberty principles into marketable policies that become law. The Institute’s vision is for Illinois to be a beacon of prosperity that will shine across the Midwest and the nation. To achieve these goals, the Institute generates marketable policy solutions to unleash Illinois’ talent and entrepreneurial ability. A nonpartisan, nonprofit advocacy organization, Illinois Policy Action exists to directly engage government officials on a vision of a freer, more prosperous society. The Illinois Policy Institute and Illinois Policy Action protected taxpayers from losing their seat at the negotiating table in talks to determine future pay and benefits for members of the American Federation of State, County and Municipal Employees. This Sept. 2, 2015, victory was a clear signal that power is shifting in Springfield. Madigan attempted to remove Gov. Bruce Rauner from negotiations with AFSCME, and to replace him with a panel of unelected arbitrators. Despite his best attempts and his decadeslong run as the most powerful man in Illinois politics, Madigan still lost. 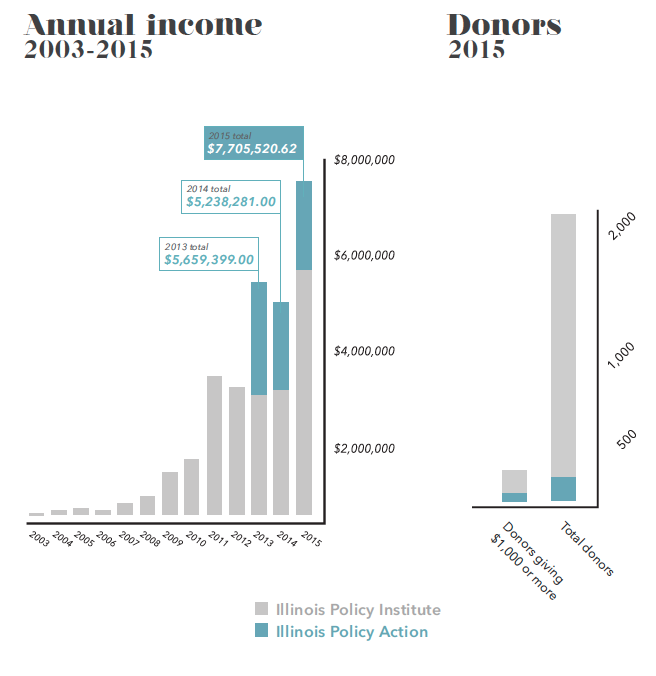 Here’s why: The Illinois Policy Institute and Illinois Policy Action turned up the heat on three key pressure points: the media, public opinion and other political influencers. The “political vise” is the three-sided system within which policymakers operate, and which determines all legislative outcomes. Media, public opinion and influencers control the three levers of the vise and apply pressure to policymakers to conform to their demands. 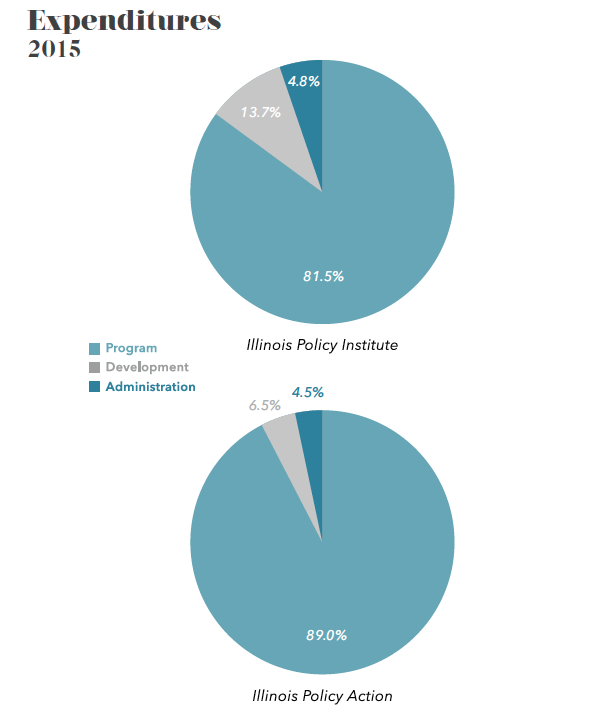 The Illinois Policy Institute and Illinois Policy Action engage media, public opinion and influencers on the issues affecting Illinois to garner support for liberty-based policies. Illinois Policy Action identified key lawmakers who could be swayed to vote with their constituents instead of with Madigan. To turn up the pressure, Illinois Policy Action took out a full-page ad in the Chicago Tribune as well as ads in newspapers in persuadable lawmakers’ districts, encouraging residents to contact their representatives on the issue. Illinois Policy Action then used the same message to launch an aggressive digital campaign targeting key representatives’ constituents on social media. The team also conducted a grassroots campaign, handing out flyers to commuters during the morning rush hour at busy Metra stations. 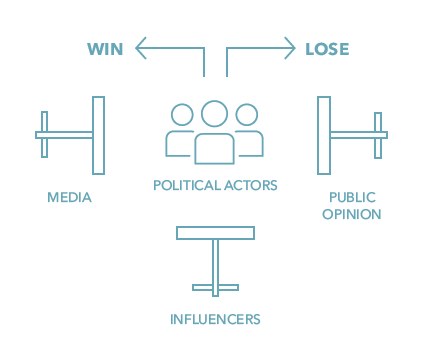 Illinois Policy Action worked with influencers around the state – including business and civic leaders – to apply pressure to key representatives on both sides of the aisle. The team made sure that representatives weren’t just hearing from constituents, but from people they know and trust. This victory was a prime example of the Illinois Policy Action strategy at work. The public applied pressure, and politicians responded. Journalists across the state recognized the implications, too. “But … [Madigan] failed. … And Madigan, always said to be several moves on the political chess board ahead of his foes, watched the victory that he’d promised fall three votes short. The practical blow and symbolic wallop landed on his noggin. In the end, the bill was defeated, and taxpayers prevailed over the political elite, keeping the taxpayers’ seat at the bargaining table. The Illinois Policy Institute continued to tell the truth about Illinois’ financial woes in 2015 to demonstrate that the state has a spending problem rather than a revenue problem. The Institute’s education of taxpayers about the state’s spending problem showed it was irresponsible for politicians to raise taxes without first passing significant economic reforms. For years, Illinois politicians have passed budgets that rely on financial gimmicks, ultimately kicking the fiscal can down the road. In 2015, for the first time since 2001, the General Assembly did not pass an irresponsible budget for the sake of passing a budget. Illinois’ ending the year without a budget is a signal to taxpayers that business as usual in Springfield is over. Illinois Policy Action fought politicians’ attempts to make the temporary 5 percent income-tax hike permanent, and it partially sunsetted to 3.75 percent on Jan. 1, 2015. Illinois Policy Action successfully defeated Madigan & Co.’s attempts to revive the failed “millionaire tax” in 2015, protecting taxpayers and small businesses from another job-killing tax. 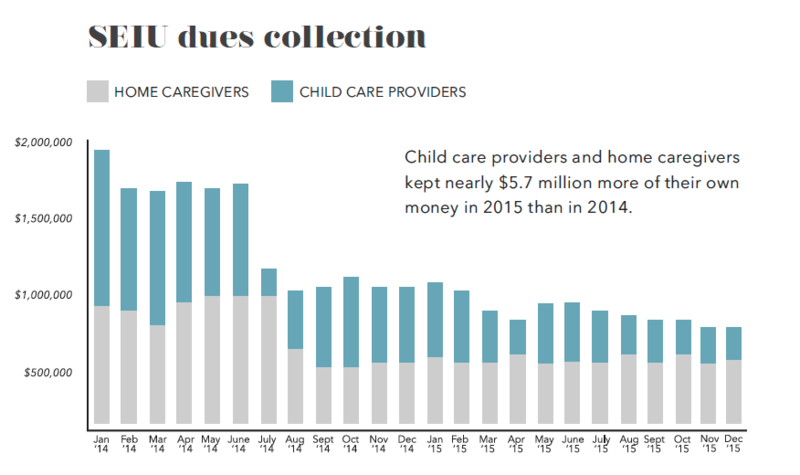 Following the groundbreaking 2014 U.S. Supreme Court decision Harris v. Quinn, the Illinois Policy Institute fought to extend the ruling to day care providers who had previously been forced to give money to the Service Employees International Union as a condition of receiving state funds. On behalf of three state employees, the Illinois Policy Institute’s litigation partner, the Liberty Justice Center, intervened in Gov. Bruce Rauner’s federal lawsuit to end forced “fair share” government-worker union fees. The case garnered national media attention and helped shine a light on the unions’ fair-share skimming scheme. Soon thereafter, the U.S. Supreme Court announced it would hear a similar case, Friedrichs v. California Teachers Association, in 2016. 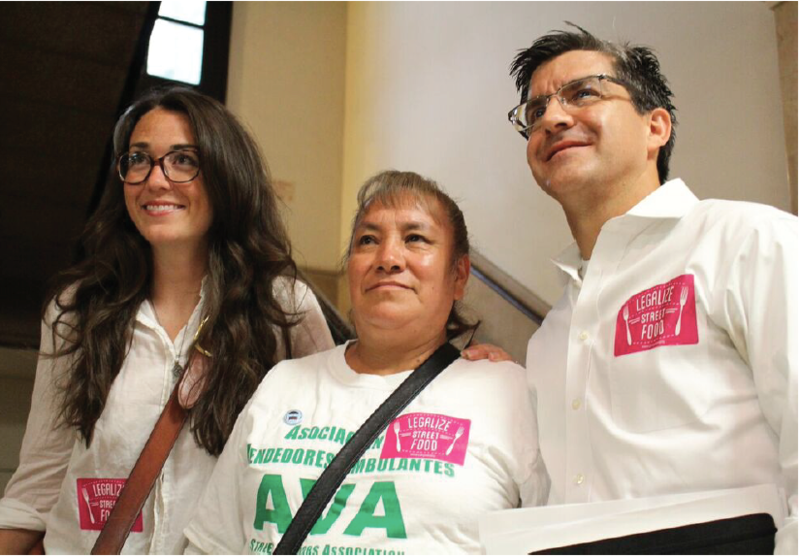 The Liberty Justice Center filed an amicus brief in support of the Friedrichs plaintiffs; the outcome of that case has the potential to topple forced unionization for every public employee in the nation. Illinois Policy Action supported the village of Lincolnshire as it passed Illinois’ first local Right-to-Work ordinance. Illinois became the second state in the nation to have a local community pass Right-to-Work legislation, and the Lincolnshire victory will help blaze a trail for other communities to adopt worker freedom and turn Illinois around. As a result of the Institute’s policy-education initiatives, on Sept. 24, the Chicago City Council overturned the ban on food-cart street vending, legalizing an industry that has the potential to create thousands of new jobs and generate $8.5 million in additional sales-tax revenue in Chicago. What began as one journalist covering Statehouse happenings in 2012, the Illinois Policy Institute’s Illinois News Network, or INN, is now a growing, award-winning news team operating in partnership with more than 250 TV, radio and print legacy media outlets across the state. In 2015, its biggest year yet, INN broke through the government-information monopoly and forced elected officials to be accountable for their actions. INN’s reporters reached hundreds of thousands of Illinoisans with INN’s Statehouse reporting and made sure residents heard both sides of the story. 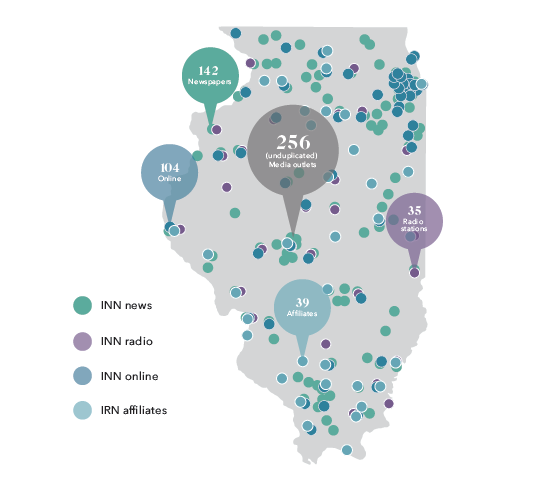 In December 2015, Illinois Radio Network, or IRN, joined INN’s growing news service, continuing its more than 30 years of reliable news reporting. The Illinois Policy Institute hit the airwaves in July 2015 with its weekly radio show, Illinois Rising, on AM 560 The Answer, one of Chicago’s major talk radio stations. Illinois Rising is the Land of Lincoln’s weekend home for insight, policy analysis and solutions that Illinoisans won’t hear anywhere else. Its mission is to break through mainstream radio media with real conversations on the policy issues that affect people in Illinois. In 2015, Illinois Rising boasted high-profile guests such as Rebecca Friedrichs, the lead plaintiff in Friedrichs v. California Teachers Association, and Eric O’Keefe, the Wisconsin Club for Growth director who was at the center of the John Doe investigations case heard by the Wisconsin Supreme Court. Regular guests also include Illinois state lawmakers and well-respected political journalists and commentators. Listeners can tune in live or listen later by downloading Illinois Rising podcasts on iTunes and SoundCloud. In partnership with Chicago tech hub 1871, on May 27, the Illinois Policy Institute hosted Sen. Rand Paul to discuss how to transform Chicago, the state of Illinois and the U.S. with liberty-based public-policy solutions. Friends of liberty came together on June 5 at Mistwood Golf Club for a day on the links in support of freedom. Chicago Tribune editorial board member Kristen McQueary joined the Institute’s CEO, John Tillman, at Between the Lines on Sept. 24 for an evening of candid discussion about the changing dynamics of Illinois politics and media. The Illinois Policy Institute partnered with the Washington, D.C.-based Coalition for Public Safety and the American Civil Liberties Union in a thoughtful discussion of criminal-justice reform at the Illinois Justice Forum on Oct. 8. Once again, the Illinois Policy Institute closed out the year with its annual Gifts of the Free Market party on Dec. 9 in the beautiful Library lounge, just upstairs from the Institute’s Chicago office. More than 200 guests celebrated the ordinary heroes who championed liberty and made Illinois a freer place in 2015. 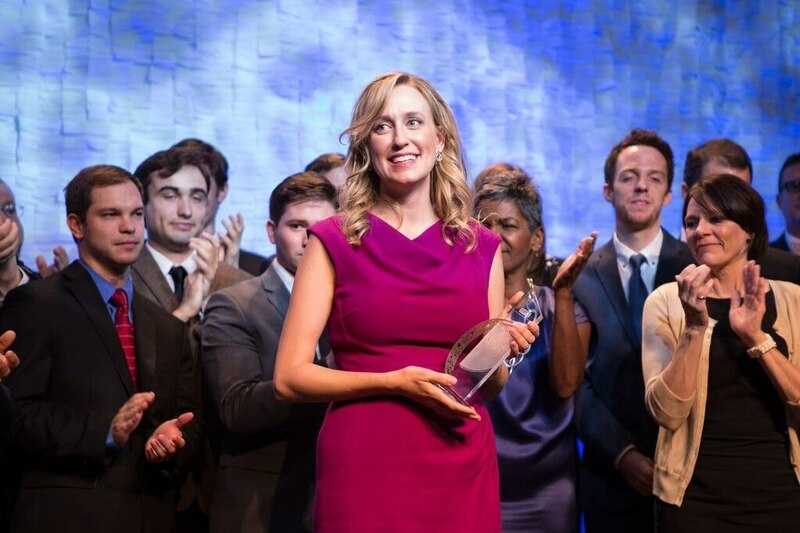 The State Policy Network gave its prestigious Overton Award to Kristina Rasmussen for her exceptional work as the Illinois Policy Institute’s executive vice president. Illinois Policy Action won PR News’ 2015 Nonprofit PR Award for Illinois Policy Action’s successful advocacy campaign to defend Illinois’ fair, flat tax system in 2014. The Illinois Policy Institute’s marketing team won a Spark Freedom Trendsetter Award for its innovative marketing of a traditional news video highlighting Illinois’ jobs crisis. What distinguishes the Illinois Policy Institute from other public-policy groups is its commitment to excellence in marketing. The Institute’s award-winning marketing and communications teams work continually to advance free-market solutions across the broad media spectrum. The Institute uses data-driven marketing to present policy ideas to an ever-growing audience through the best possible channels. As displayed above, the Institute is now a significant voice in Illinois, with a greater reach than several well-known legacy media outlets and agencies in Chicago and statewide. As our audience and reach grow, so does the number of individuals committed to investing in a freer and more prosperous Illinois. The numbers below show that Illinoisans are more committed than ever to an Illinois comeback. 2016 is a pivotal year for our nation and our state. The American people will choose a new president. In Illinois, competitive legislative races could shift the balance of power in Springfield. 2016 will be a key year in the unfolding of the Liberty Campaign, which John Tillman first outlined back in 2007. Its purpose is very simple: Transform liberty principles into marketable policies that become law, and thus help Illinois become a beacon of prosperity. Illinois Policy Institute provides policy research and thought leadership that seizes the moral high ground and changes hearts and minds. Illinois Policy Action turns good ideas into law through direct advocacy and grassroots action. You’ve seen how we’ve defended taxpayers and have begun to turn the tide. Stay with us as we go on offense to make progress on behalf of all the Illinoisans who need and deserve it.